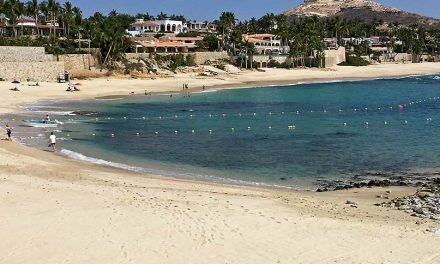 The following update about Costa Azul Beach is an excerpt from Los Cabos Magazine Issue 44, Summer 2016. 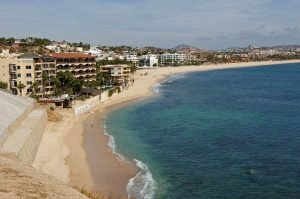 Playa Costa Azul (Blue Coast Beach) is best accessible from the arroyo that passes beneath the bridge at Costa Azul beach at Km. 28. Adjacent to the arroyo to the north is Zippers restaurant – where one can enjoy watching surfers riding waves while dining on burgers, ribs and tacos. 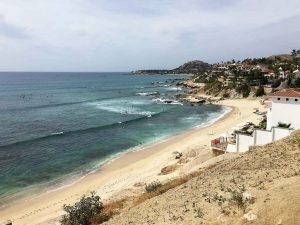 Surfboard and snorkel gear rentals are available at the surf shop across the highway and at the Mike Doyle surf school under the Cabo Surf Hotel on Acapulquito beach at Km. 28. 19 February 2007 – David Mandich. 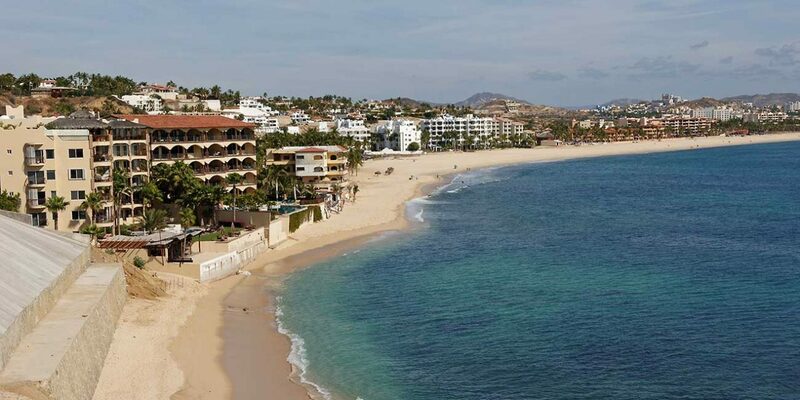 The start of San Jose’s long beach zone, Playa Costa Azul (Blue Coast) runs from the lookout on the highway past beach resorts to the Brisa del Mar Trailer Park at Kilometer 29. Brisa’s has a low-key beach bar with a volleyball court in the sand. 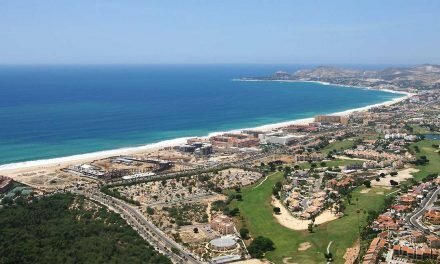 Costa Azul’s southwest side is where you’ll find the world famous Zippers and La Roca surf breaks, with competitions held every summer. 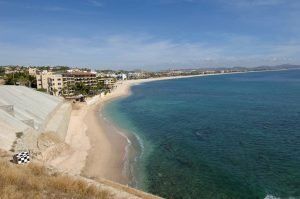 Services here include Zipper’s and Dante’s restaurants, a convenience store, occasional board rentals and lessons on the beach, and the Costa Azul Surf Shop across the highway next to Havana Supper Club. 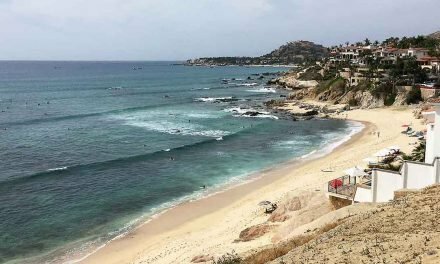 Zippers and nearby La Roca are intermediate to expert surf breaks, and dangerous for beginners. Arrange a lesson and board rental at the Costa Azul Surf Shop.